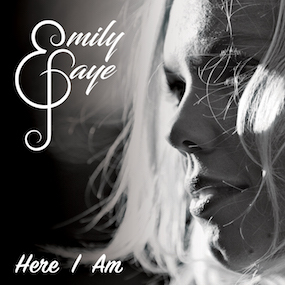 English singer-songwriter Emily Faye – named in December as one of Rolling Stone’s ‘Ten Country Artists You Need To Know – has announced the April 27th 2018 release of her brand new EP ‘Here I Am’, recorded between Southern Ground / Sound Emporium studios in Nashville, TN and The Banger Hanger in Essex, UK. The set features lead single ‘Open Road’ which received extensive airplay across the UK on multiple country & Americana radio shows and stations, and new single ‘Giving In’ which is available to fans who pre-order. Faye is due to mark the release with a special EP launch show at London’s The Bedford venue on 1st May, followed by an exclusive acoustic set on 4th May at Covent Garden Library Members Bar, before heading out for further tour and festival dates throughout the summer. In her own words: ‘So excited to finally be releasing the EP I recorded last year in Nashville – I can’t wait to share a little bit more of me, and I just really hope people will like it. It was an absolutely amazing experience recording in Nashville with such talented people bringing my songs to life’.